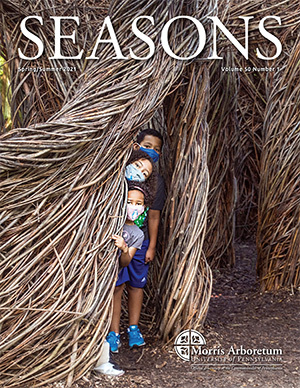 Morris Arboretum has partnered with the Annenberg Center to offer our members a discount. Arboretum Members will enjoy a 10% discount on all Annenberg Center Live Performances, October – May. Members can enter the promo code, Arboretum10, online or mention it while speaking to the box office to obtain the discount. ACCESS Cardholders (those Pennsylvania residents who monitor their government issued cash, food, or medical benefits with an ACCESS card), are invited to visit Morris Arboretum with this special discount. One (1) ACCESS Card admits up to four (4) family members at a rate of $2 per person – including the ACCESS Cardholder. Admission is to be paid by the visitor, not through their EBT card. The ACCESS admission discount is not valid on special exhibitions or features, or with any other offers or group rates. Visit www.art-reach.org for additional information. 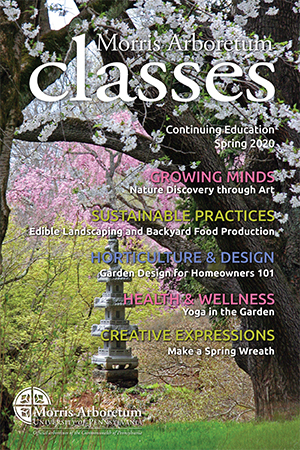 The American Horticultural Society (AHS) Reciprocal Admission Program (RAP) offers members of participating gardens free admission to the Morris Arboretum. A valid membership card from a participating garden must be presented. Click here for a list of participating gardens. Based on the 90-mile exclusion policy of the RAP Program, members of Bartram’s Gardens, Camden Children’s Garden, Great Valley Nature Center, Pennsylvania Horticultural Society, Rutgers Gardens, Tyler Arboretum, University of Delaware Botanic Gardens, and Winterthur are not eligible for free admission. Directories are also for sale in the Shop at the Morris Arboretum. RAP discounts do not apply to special ticketed events, such as concerts, or members only events. Penn students, alumni, faculty, and staff receive complimentary admission upon showing a valid PennCard. Morris Arboretum welcomes veterans to visit free on Veterans Day and Memorial Day. Check out our exclusive Member Discounts at local Chestnut Hill/Mt. Airy restaurants, retailers, and more!